Credential Stuffing - HSBC Bank Alerts US Customers to Data Breach: Who is to blame? HSBC bank is warning some of its U.S. customers that their personal data was compromised in a breach, although it says it's detected no signs of fraud. HSBC says the breach appeared to run from Oct. 4 to Oct. 14. After spotting the breach, the bank says in a notification announcement, it "suspended online access to prevent further unauthorized entry" to affected accounts. The Telegraph reports that HSBC manages about 1.4 million U.S. accounts, meaning 14,000 customers may have been affected. While HSBC has released scant details, Woodward says this breach has all of the hallmarks of a "credential stuffing" attack. Such attacks involve criminals taking usernames, passwords or other personal data that has been stolen or leaked and using it to access a user's account with other sites or services. Millions of such leaked credentials have come to light. The best defense against credential stuffing attacks is for users to never reuse a password on more than one site. Unfortunately, many users do reuse their credentials. "This is the underlying problem: People have said: 'Hey, I have a favorite password, it's my cat's name and this is the year that it was born; this is fantastic and I'm going to use it everywhere,'" password security expert Troy Hunt. "This website B didn't necessarily do anything wrong, but now they've got to deal with the risk of ... an attacker logging in with a victim's credentials," Hunt said. "That's a really hard problem. Now, for the most part there was much support for this and clearly very many likes. But there was also a theme that popped up that needs addressing, and it boiled down to this: You're victim blaming."" J4vv4d, another well known information security public figure, disagreed with Troy Hunt and thinks what we're lacking is proper awareness and cultural changes, like what happened with car safety. "If you’re like me and grew up in the 80’s, you’ll probably remember going on car trips without wearing seatbelts [...] Fast forward a few decades and it’s inconceivable that I would get in a car and not ‘clunk clink’ [...] But these behavioural changes took decades. There have been sustained awareness campaigns, coupled with increased enforcement to get to the point where it’s almost deemed socially unacceptable." A Russian vulnerability researcher and exploit developer has published detailed information about a zero-day vulnerability in VirtualBox. His explanations include step-by-step instructions for exploiting the bug. Exploiting the vulnerability allows an attacker to escape the virtual environment of the guest machine and reach the Ring 3 privilege layer, used for running code from most user programs, with the least privileges. This is not the researcher's first vulnerability disclosure in VirtualBox. Earlier this year, he reported another security bug in VirtualBox. It was reported responsibly for version 5.2.10 of the software. For some reason, though, Oracle fixed the problem silently in version 5.2.18 of its hardware virtualization software and did not give credit to the researcher for finding and reporting the vulnerability. At the beginning of today's report, Zelnyuk clearly states the reasons that drove him to publicly announcing the full details for the current zero-day, before informing the developer of the issue. Oracle's past reaction to his bug bounty reporting seems to have played a part in this. The duo successfully tested their attack against three Crucial models of SSDs—Crucial MX100, MX200, and MX300—and four Samsung SSDs—840 EVO, 850 EVO, T3 Portable, and T5 Portable drives and found at least one critical flaw that breaks the encryption scheme. 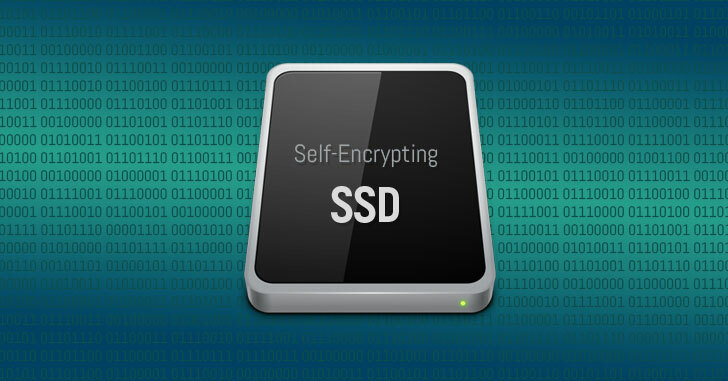 But researchers warned that many other SSDs may also be at risk. With physical access to the device's debug ports, the researchers were able to reverse engineer the firmware and modify it to decrypt the hardware encrypted data by entering any password. What's more? Since Windows' built-in BitLocker full-disk encryption software by default uses hardware-based encryption if available, instead of its own software-based encryption algorithms, Windows users relying on BitLocker and using vulnerable drives remain exposed to above-mentioned vulnerabilities. However, you can force BitLocker to use software-based encryption only by changing a setting in Windows Group Policy.